Mandragora occicinarum - Mandrake - was a common admixture in witches' brews. Mandrake contains extremely large amounts of tropane alkaloids and should be regarded as poisonous. It was often carried for protection and luck. 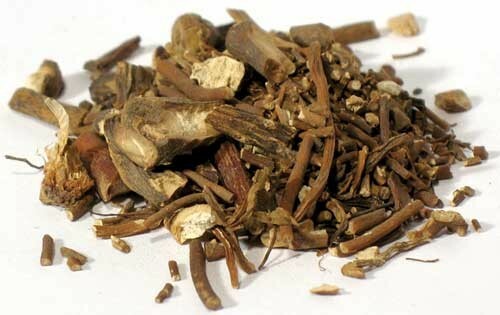 We offer Chopped and sliced dried Mandrake root.